It is well known that site performance is one of its main characteristics with respect to user experience. Recently Google launched its PageSpeed Insights test that helps evaluate a website’s speed and its user experience potential on desktop and mobile devices. Most likely it’s a part of the Mobile algorithm, which is being implemented by Google, and since Google is a search engine in the first place, we can assume that it *will* directly impact the search results. The final grading is influenced by several factors such as server speed, image optimization and caching, but the most important factor is, of course, design of a web page, which includes code optimization, script loading queue – things that cannot easily be fixed by an average end user. In fact, a design should not be minimalist or completely white to pass the test – clean code and the right approach to resources is enough. Ironically, some Google pages don’t meet its own requirements of a fast website. For example, Google Play gets only 62% in Mobile Speed, 77% in Desktop Speed and 87% User Experience scores. As for OpenCart, it’s a very fast eCommerce platform itself, and choosing a well performing template will make your store even faster. Take a look at the following examples of OpenCart templates that showed top results and received 85+ score by Google Page Speed Insights. 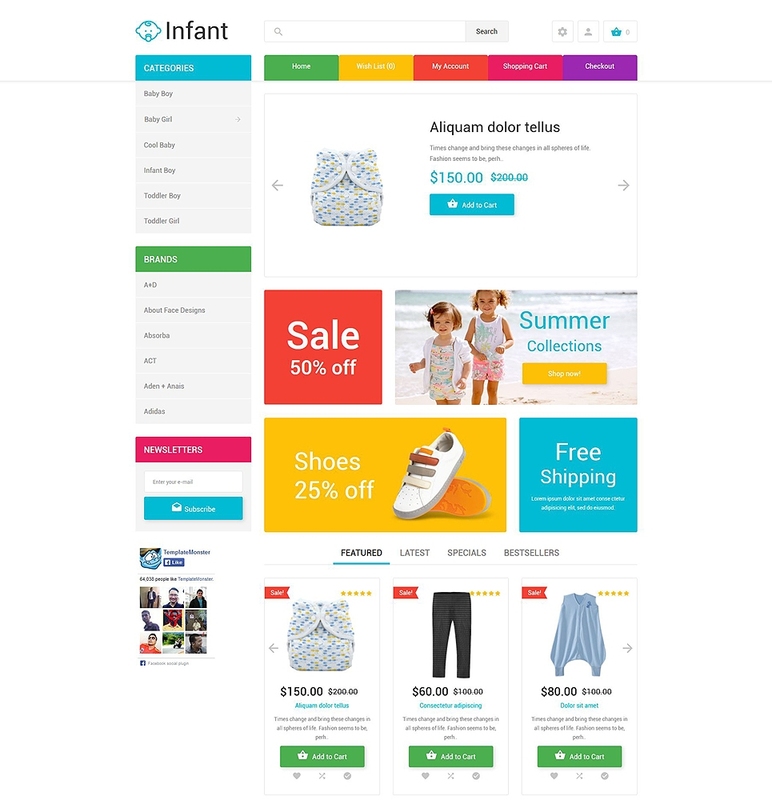 The first lightning-speed template on our list is Infant, a flagship OpenCart design in the TemplateMonster collection. It is made in light summer style using bright colors. You may notice a modern “Metro” design trend on the homepage. Its colorful square announcements will direct attention to your best offers and discounts. The design is pretty versatile and can be used not only for kids-themed online stores, but for any stores that require use of a bright palette. Travel agency websites built on eCommerce platforms are rare – typically their owners use popular CMS with additional plugins. 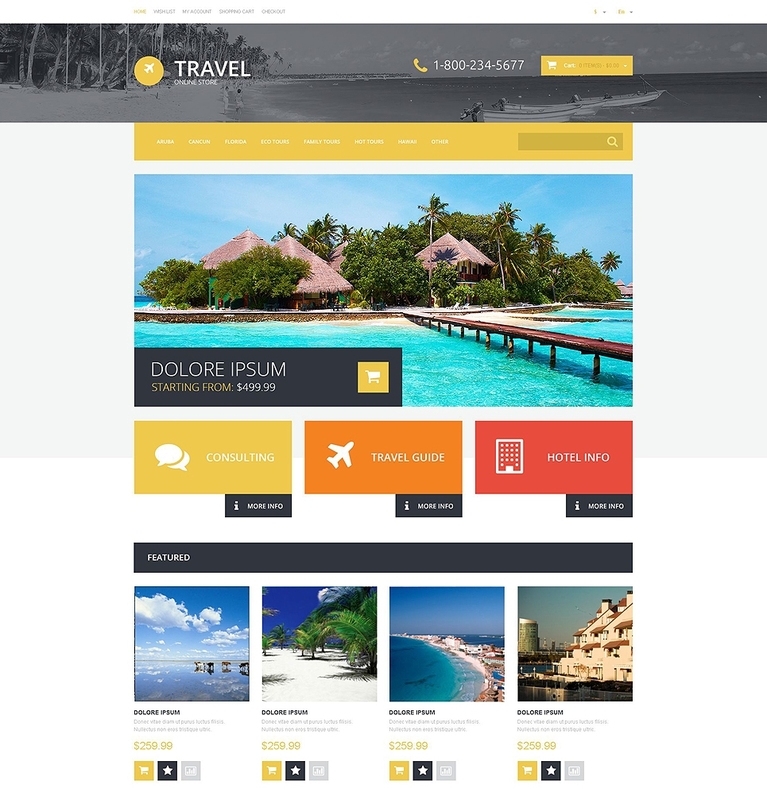 This OpenCart template Travel Online Store allows combining the functionality of an eCommerce platform with the spirit of a travel website. Concerning Google PageSpeed Insights, the template shows not only high speed results, but also ultimate User Experience score – 100%. 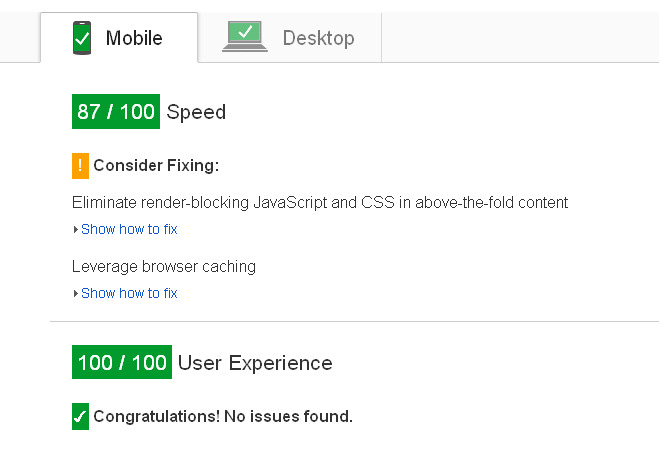 In other words, Google finds it perfect for mobile users in terms of usability. 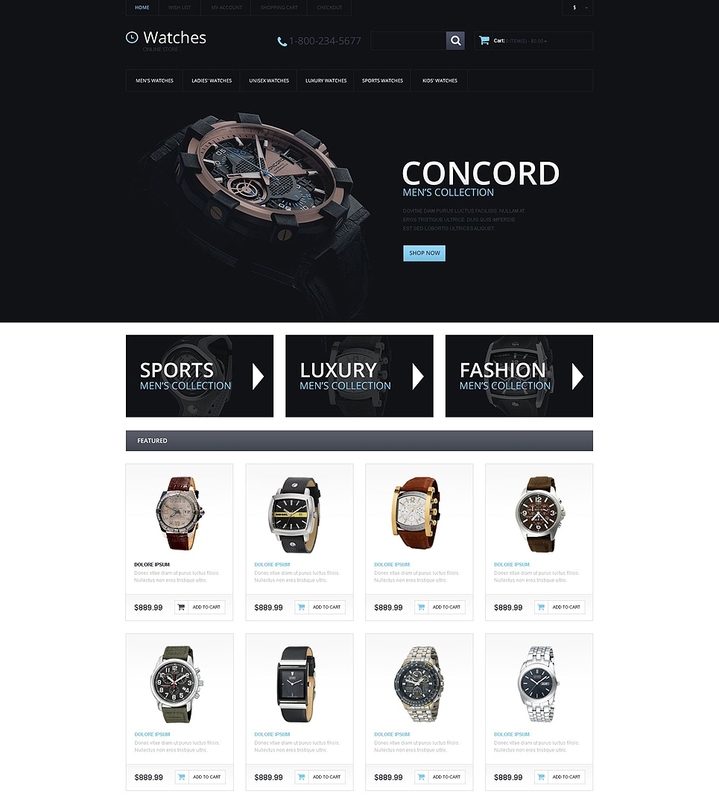 If you prefer classic stores, than you should take a look at Watches – an OpenCart template for accessory stores. Due to its palette (mix of dark and light blue) it is a great fit for electronics stores as well. It is best suited as an application for shops selling products with options of different colours and sizes. 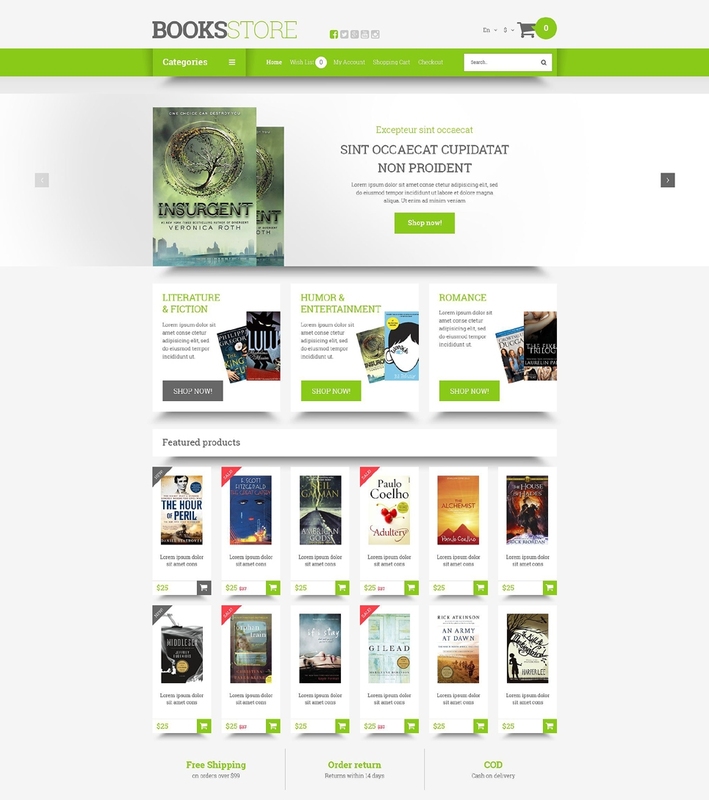 BooksStore was created particularly for selling literature, movies, video games and such. It is neither flat, nor minimalist, yet very fast. If you own a brick-and-mortar store along with an online one, the embedded Google map above the footer will help local customers find it. 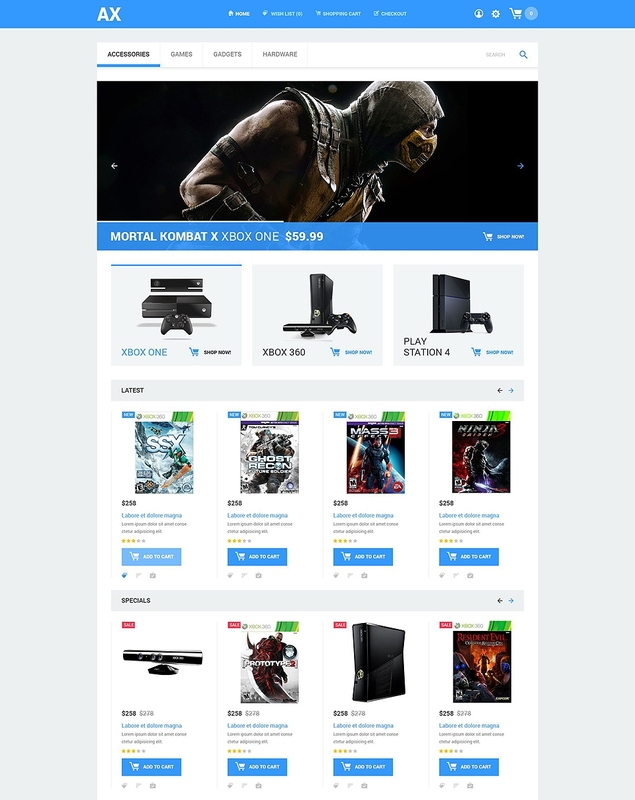 It also includes Ajax search box with product icons, product quick view and many other functions. Fashion templates are among the most popular ones. And SunGlasses with its white background and page-wide slider is one of the best ways to showcase your accessories. The template is very minimalist and focused on product images, just how it is supposed to be in fashion designs. So make sure you use only photos of high quality and high resolution. The trick with this particular template is that it may seem too simple at first blush. In fact it is just packed with features, and minimalism is one of them. It includes built-in live chat, badges for new and bestselling items, pop-up newsletter block and even a separate block for YouTube videos on the product page. AX is an example of the fusion of simplicity and functionality. 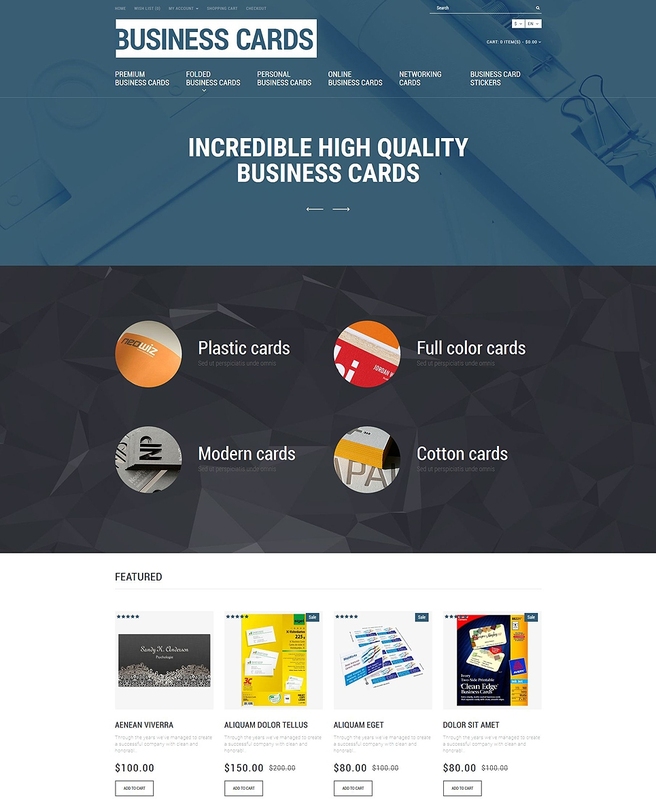 Business Cards Store resembles a landing page and combines possibilities of a business portfolio and an online store. It is best suitable for businesses where a portfolio is a must: t-shirt printing, 3D-printing, auto tuning etc. Despite its dark colors and large background images it has great loading speed and delivers A+ user experience. We hope you enjoyed browsing the templates we presented. Perhaps you’ve even chosen one of them for your future store. The only thing you should remember: Google cares about website speed for a reason. The faster you make your website, the more you contribute to your customers’ loyalty in the first place, and SEO boost is just a pleasant addition.